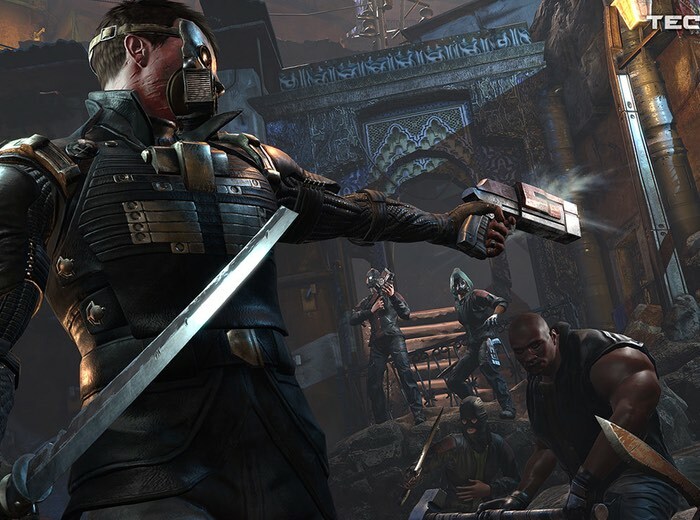 RPG fans that are looking forward to the release of the new Technomancer game that will be launching on PlayStation 4, Xbox One and PC sometime during 2016. Are sure to enjoy the new First Contact trailer that has been released by the games developers this week providing a first glimpse at what you can expect from the game and its three dynamic and exciting combat styles. – Staff: Highly mobile long-ranged melee to hit multiple targets. – Rogue with knife and gun: Agile, mobile, with dodges, rolls, and effective CC with the gun. – Protection with mace and shield: Parry, block, and beat them to death with powerful attacks! In the video, you’ll see Zachariah fighting and exploring throughout the markets and shanties of Noctis, one of the major cities in The Technomancer, where over a hundred years of separation from Earth, new cultures, clans, and super-powers formed throughout Mars, causing clashes and in-fighting across the red planet. It’s not all about the combat, though, with a deep, modular crafting system changing the visible and active qualities of clothing and weapons from scrap you find on Mars. Cut off from Earth for 120 years, Mars is a world in conflict, with many different cultures and communities – and the games weapons and clothing reflect this quality, with jury rigged and make-shift weapons and armor, designed for survival, or militaristic rule!